Currently Out of Stock, New kits available soon. Actual kit shown. Iinclude detail parts from Tichy Train Group, A-Line and one of five different custom PRR decals. Trucks and couplers not included. Shown above are decals for PRR and PRR/PCC&StL . 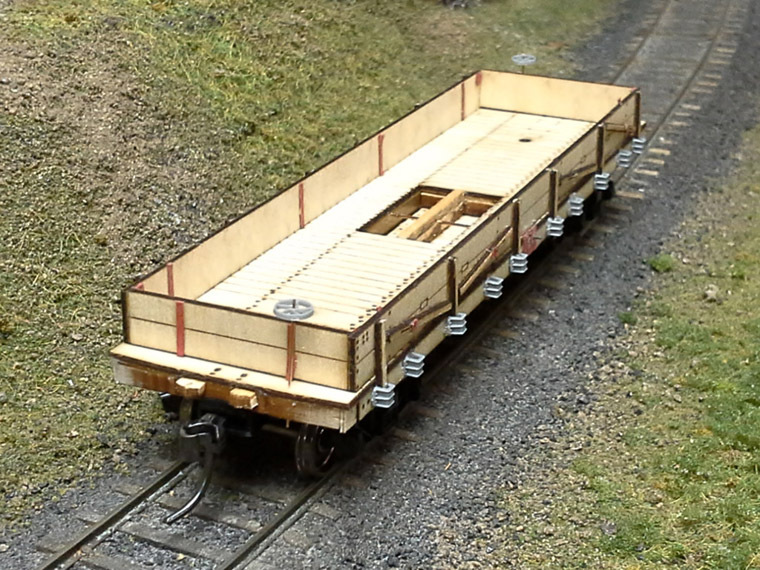 Gondolas were favored by many railroads in the early years because of their versatility - like a flatcar they could carry almost any load that did not require protection from the weather. 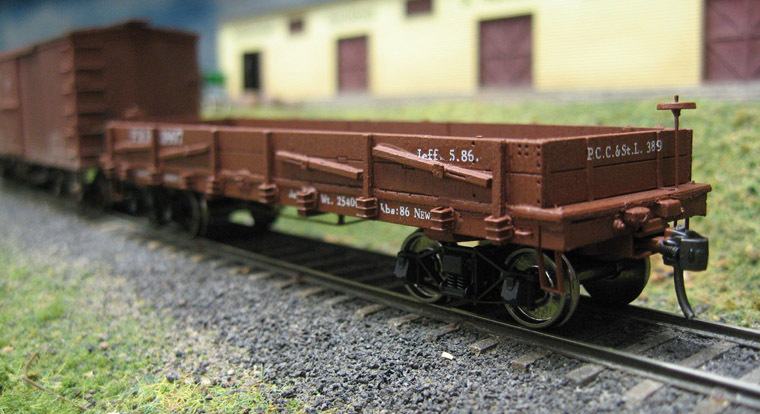 But unlike a flatcar the gondola's sides made it possible to contain loose loads like coal and crushed stone. The addition of drop-doors in the bottom meant these loads could be unloaded faster and with less effort, but the car could still be used for other loads like poles or machinery when needed. 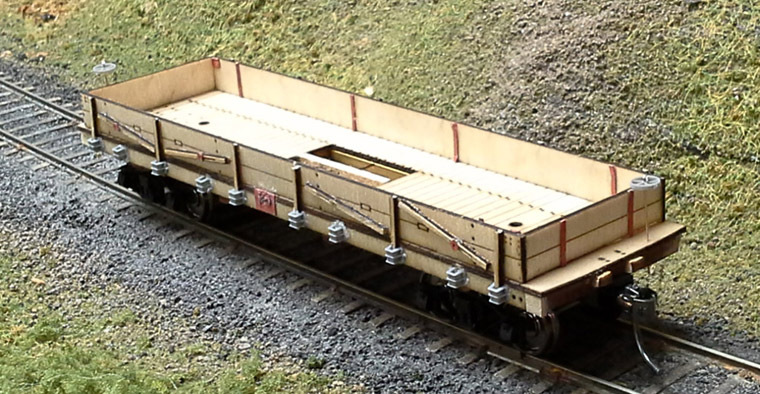 Before the self-clearing hopper car became popular after the turn of the century this was the most efficient way to move loose bulk loads. The Pennsylvania's Type GA Gondola introduced in the late 1870's was an excellent example of this versatility. 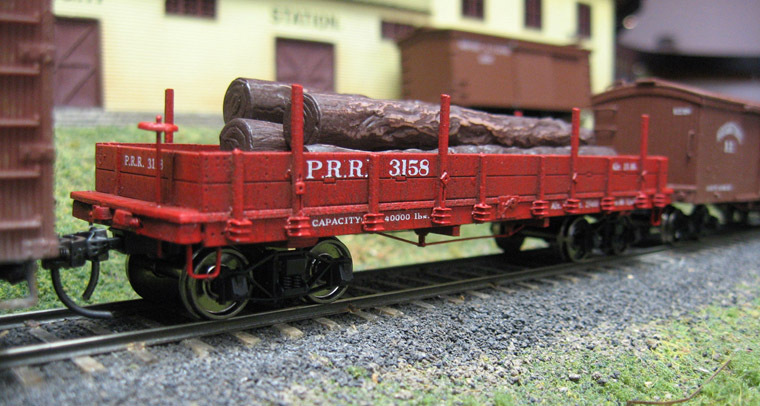 Serving on all divisions of the railroad, they were used primarily to move coal (up to 20-25 tons at a time). Many of these gons were equipped with collapsible side stakes that could be raised to secure tall loads like stacks of pipe, and lowered out of the way for regular duty. They came in both solid-bottom and drop-bottom variants. GA gondolas had a long service life, and were wide-ranging with approximately 7,000 cars being built well into the 1880's. Many ran through the end of the 19th century and into the second decade of the 20th when they were finally replaced with steel hopper cars and steel-frame gondolas of greater capacity. Laser-cut parts from basswood, plywood, laserboard and cardstock. Easy assembly with simple tools - hobby knife, sandpaper, wood glue, tweezers, CA and/or epoxy cement. A pair of brass bars which run underneath from end to end, giving the model stability and weight. Choice of solid-botton or drop-bottom floor. Keyed needle beams and truck bolsters hold the brass bars in place and make up the sides and ends of the drop-bottom cavity. Separately applied drop doors that may be modeled opened or closed. Scale chain to wrap around the drop door winding rod. Separately applied 'collapsible' side stakes that may be modeled in the extended or collapsed position. 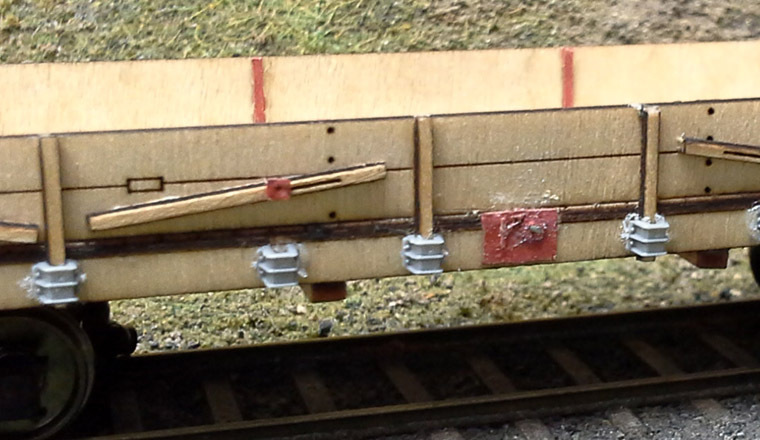 Additional detail parts by Tichy Train Group such as stake pockets and stirrup steps from A-Line are included. Authentic decals drawn from prototype cars, and verified against the Official Railway Equipment Register of 1892. Detailed assembly instructions with photos and diagrams. 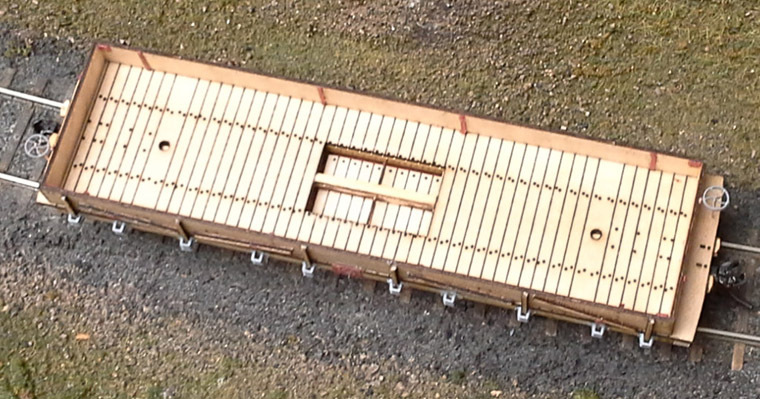 Skill level 3 - a challenge for the complete novice but anyone with wood kit building experience will enjoy it! The first Item number is for the Drop-Bottom version, the second for the Solid-Bottom version. All cars have primary lettering of P.R.R. and the car number on the sides. The car ends get the subsidiary initials along with the car number. The reporting marks and car numbers were gathered from the ORER of August 1892. Alt = Altoona, PA. Jeff = Jefferson, . Why did we do this car? Like all models produced by Amesville Shops, these cars were very common and could have been seen regularly in trains anywhere in the country from 1880 through 1910 or so. It is an everyday working car, and will fit right in with the rest of your fleet. Of course, common doesn’t mean dull - for those who notice it the fine level of detail will be a pleasant reward. Coal haulers will want to get several GA’s to fill out their trains! Couplers and couplers not included, Kadee #158 scale couplers recommended. Tahoe Model Works five-foot wheelbase Archbar Trucks recommended.